Drinking beer in moderation is good for cardiovascular health, says Dr. Henk Hendricks, a biologist and project leader in the Institute for Food and Nutrition in the Netherlands. 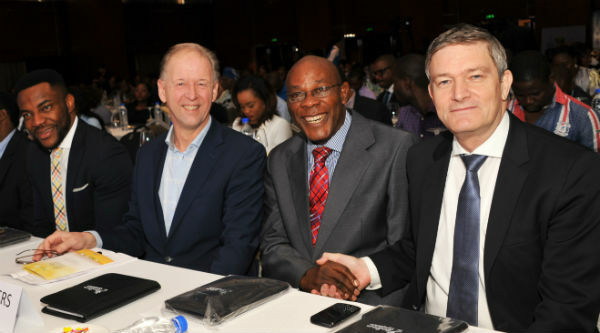 At a beer and lifestyle symposium sponsored by Nigerian Breweries and held in Lagos on Tuesday, Dr. Hendricks noted that all causes of cardiovascular diseases are beneficially impacted when beer is consumed in moderation. These effects, he added, have been observed in all age groups and genders (young and old, men and women). Some benefits of beer, he said, include: low alcohol volume; large quantities of water; a good source of minerals and polyphenolic antioxidants; contains anti-inflammatory xanthohumoles; helps with hydration and has a large variety of raw materials, including gluten-free rich in fibers. “Moderate beer/alcohol consumption is associated with lower risk for metabolic disease viz. cardiovascular disease and type-2 diabetes. “The beneficial effects of moderate beer/alcohol consumption are mediated by improvements in lipid (cholesterol) metabolism, blood clotting and glucose metabolism,” he said. Hendricks concluded that while risk reduction is addictive to other healthy lifestyle factors like non-smoking, physical activity and a healthy diet, moderate consumption of alcohol is good for a healthy lifestyle. Lending his support, Professor Emevwo Biakolo of the Pan Atlantic University, Lagos, who chaired the conference, said that moderate beer consumption in the elderly appears to be associated with significantly longer survival in men aged 60 – 74 years and in all elderly women. He added that “there is evidence that moderate alcohol consumption may be associated with better cognitive function in old age,” he said. Also speaking at the event, Mr. Tony Agenmomen, Senior Strategy Manager, Nigerian Breweries, said that drinking beer in moderation can offer some health benefits, adding that the evidence is overwhelming. Even good things can become a stumbling block to us, if used without moderation,” he said. Agenmomen listed strategies for moderate drinking to include spacing drinks; alternating alcoholic drinks with water; avoiding drinking competitions; knowing when to stop and drinking slowly. 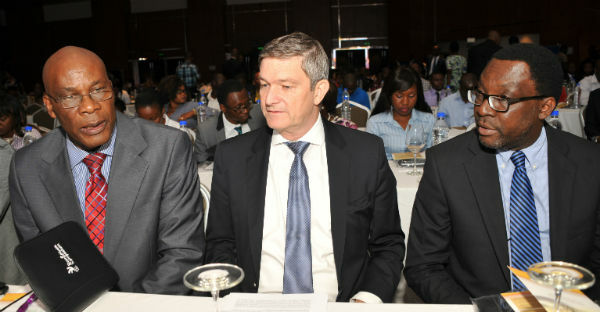 In his welcome address, the Managing Director of Nigerian Breweries, Mr. Nicholaas Vervelde, said that the company was encouraged by the outstanding success of the 2014 symposium and the very enthusiastic response from the general public prompted the company to sponsor the 2015 edition. He said that sponsoring the symposium reinforced the commitment to improving the understanding of beer and its inherent benefits when taken in moderation. “All I noted last year, beer when consumed in moderation, can be a source of immense pleasure that is why I believe the theme for this year – Beer and Lifestyle is quite apt. Even though beer has been with us for thousands of years, the appreciations of its unique benefits are only beginning to grow. The knowledge about benefits of moderate consumption of beer is multiplying everyday with so many empirical research findings from all over the world,” he said. “In line with our commitment to responsible consumption of our brands, we have continued to execute some activities including partnering with several Agencies and stakeholders to embed the message of responsible consumption. A key example is our partnership with the FRSC in “Don’t drink and drive” campaign. These campaigns will continue into the future until every consumer understands and abides, Vervelde said.